At your choice of time and location. 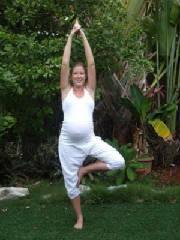 Prime of Life Yoga is designed for the body that is not a super-bendy twenty-something! Concepts include dynamic postures, "forgiving limbs," and multiple possible variations of traditional classical yoga poses. Aqua yoga uses the bouyancy of water to support movement. One-on-one, or very small group classes are offered by appointment only. Aqua yoga is especially good for those with reduced range of motion, or balance issues resulting from a chronic condition. It is best done in a pool with water depth ranging from waist to shoulder height. Yoga Nidra is a deep guided meditation. It's appropriate for releasing habitual unconscious muscle tension and stress held in the body. We can schedule one-on-one or for a small group. A small group class is now forming. Get on the list! Do you want to practice yoga but have some limitations?